Which types of tyre damage are serviceable? The answer to that question depends upon the type of damage, location of damage and how quickly you have it inspected. 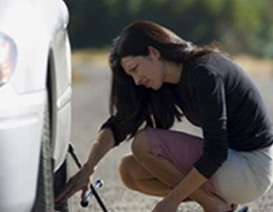 Often, small punctures isolated to the tread of the tyre can be repaired by a professional. It is important that the tyre is repaired using the Rubber Manufacturer Association’s guidelines for permanent repair. Ignoring a damaged tyre and continuing to drive on it can turn an inexpensive fix into an expensive problem. Damaged tyres lose air, causing their operating temperature to rise, which can cause some components to separate, or damage the tyre body in ways that ruin it. To be safe, a Westlake Tyres dealer should evaluate all damage, including punctures, scrapes, bulges, separations, or cuts.